When can you make a recording? When can you use it? I won't get into all of the legal aspects of when you can use it right now. However, I am glad when someone else has done all of my homework, and I don't have to "reinvent the wheel" when it comes to knowing what you can and cannot do when recording. Normally, I stick to stuff about Texas, because that is what I am familiar with when it comes to Investigations. 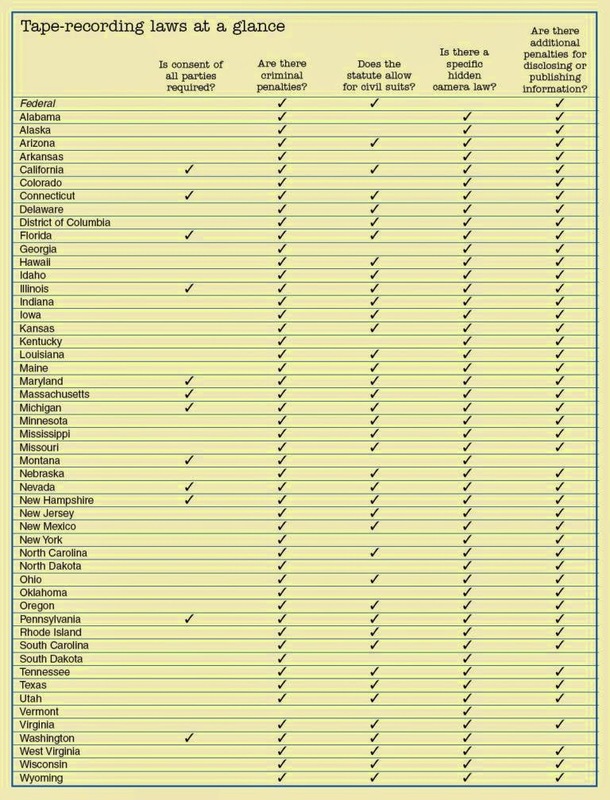 However, I believe I have found the best source to know when you can and cannot record (barring court order, etc) anyplace in the US. So I will call this the ultimate guide for legal recordings for private investigators. OK, I admit I stole this from the reporters, but you don't have to tell them! Below is the place to go to get the down low. Also where to get the download. I suggest you do so and save it to your computer for future reference. That is what I did.